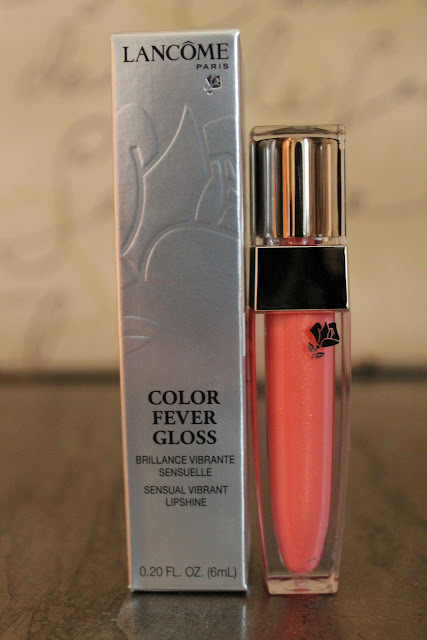 THE GLOSS GUIDE: Spring Favsies! Let's start with my favorite time...BATH TIME! These make me look forward to my bubble bath even more than I already do! Laura Mercier Almond Coconut Milk Honey Bath & Souffle Body Creme: I wish I could send the smell of this through your screen!! It's seriously the most heavenly smell of ANY product I've ever smelled in the history of smells. I would normally never shell out this much for bubble bath & lotion - but after getting a sample of this it was like crack. I was thinking about it day and night - I had to get a fix of this smell again!! It also looks really pretty in my bathroom :) So, if you're in the mood to indulge yourself...I think you should! Picture yourself taking a long, hot bubble bath with this sweet smell all around you...aaaah...now wrap yourself in the most luxurious body cream you can imagine...double aaaah. What are you waiting for?! Go ahead and click here for the body creme or here for the honey bath...then thank me later!! Hourglass Immaculate Liquid Powder Foundation - Let me start by saying this foundation is: Paraben Free, Oil Free, Fragrance Free, Nanoparticle Free, Phthalate Free, Synthetic Dye Free, Gluten Free, Vegan, and Water-Resistant. WOW! WOW! WOW! I don't even know what some of those are?! But I'm glad it's free of them! If you're an oily girl like me you will love this! It's formulated for oily and blemish prone skin. It feels so silky and lightweight, it glides into pores, and kept my skin looking great ALL day. This really eliminates the need for touch ups throughout the day. I really like this for daytime or if I don't need heavy coverage. I can foresee this being a summer favorite. Being in the South - it gets super humid and hot! This will be a must for me! I can't say enough great things about the Hourglass line of products. Pop into Sephora for a sample or order here! Benefit Erase Paste - I hate that I cheated on my Cle de Peau Concealer...but I really love this stuff! Honestly, nothing can compare to my precious Cle de Peau - it simply is the best - but my skin has been a little dry around my eyes lately and sometimes it can look flakey. The Erase Paste is in a pot and has more of a thick foundation consistency. The more liquid texture is great when your skin is a bit dry. I like that it has brighteners in it as well. The concealer is really thick and has great coverage. For night I layer a bit of it over my Cle de Peau - now we're talkin! The only issue I had with this was the color range. The No.1 Fair was super light and the No.2 Medium seemed dark - I bought both so I could mix them as needed. The No.1 is fine for me now (I'm super pale) but warm weather is approaching, so I think mixing will be in my near future. I was torn between their Boi-ing concealer and this - but liked the brightness/texture/consistency of this much better. Click here to order! Miracle Skin Transformer SPF 20 Face - I'm always on the lookout for an all in one product to wear to work. In the mornings I'm always in a hurry - so the fact that this is a moisturizer, primer, foundation and SPF all in one is a life saver! It's basically another BB Cream...and I'm a HUGE fan of BB Creams. I like that this one mattifies, so I don't need to put any kind of powder over it. I put my morning serum on - then go straight to this. It's that simple! I definitely have to do a bit of concealing afterwards - its a very sheer coverage - but I really like the overall feel. If I don't like the way a product feels on my face or if the consistency isn't right - forget about it - I will never use it again! The reviews on Sephora are also great for this one - that goes a long way for me. Click here to see for yourself and make your mornings a little easier! Thanks for checking out my Spring Favsies!!! I'm obsessing over everything Hourglass right now! I went a little crazy with the Ambient Lighting Powders - you have to try those next, perfect highlighters! And since you got me hooked on Incredi-peel, I'm surely going to have to try these as well!